It enables users to quickly find and select from a pre-populated list of values as they type, leveraging searching and filtering. jQuery-UI Autocomplete can be applied on any input field i.e. any HTML field of type <input> or on textarea i.e. <textarea>. What jQuery-UI Autocomplete helps in? 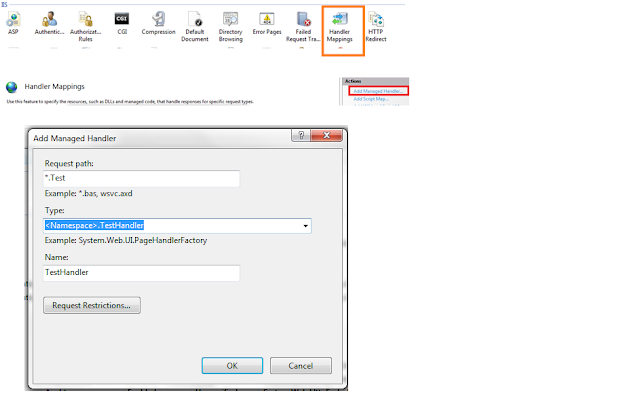 It helps to achieve the intellisense or to display the available options to the user for a particular input field. Basically it acts as a plugin when integrated with any textbox, start searching for the matching records (filtering the records from the available or the provided source) and display it to the user for the selection. User can filter the records for better matches by entering more precise values. It also helps in achieving some functionality like on entering the district particular zip code is automatically filled in. Data source for the autocomplete can be local (present on the client side) or it can be remote (present on the server e.g. database). Autocomplete also provide the user interaction with the list via keyboard also. So basically user can move up and down using arrow keys. Autofocus – If this property is set to “true” then the first item in the selection list is automatically selected when the options are shown. Delay – On can set the delay required, this allows in configuring, after how much time the available options are shown in the selection list or the drop down which gets opened below the input field. So if the input is local then the filtration on the local data source is performed after the specified delay and then the filtered records are displayed. And if the data source is a remote data source then the server is made to get the filtered records from the database after the specified delay. It helps in preventing the frequent server hits to the server or minimizes the filtration processing if the data source is local. What actually happens is that if the delay is 1000ms and user keeps on entering the values(Characters) in the textbox then the server hit is made after the 1000ms when user stops entering the values. Minlength – This property specifies, the minimum required characters that user should input to look out for the available options. So if it is et to 3 then the filtered records (If any record is present matching those characters depending upon your filtration criteria) are shown only when user enters three characters. Position – Position of the selection list can be specified relative to the input field. Some of the available options are LeftTop, LeftBottom, RightTop, RightBottom. Position of the selection list can also be specified relative to the other elements present on the same mask. Source – This is the actual data source of the options available to the user. It can be local or Remote, To specify the local data source one has to provide and array of items (Items can be just a string or can be an object with label and value properties, label if the property for the value which will be shown in the selection list or the drop down list whereas value is the property for the value or the string which will be shown inside the input field when user selects a particular option. If one of them is specified then it applies to both the properties). To specify the remote data source one has to give a URL string (which return the JSON data) to the source. The server can get the user entered value (On which the filtration can be performed on the server dynamically) in a query string parameter named “term” when an AJAX get request is made. Enable – If you disable the autocomplete feature there must be some way to enable it, this is the method for achieving that. Search – You can forcefully make a search (May be on a click of some button present in your form) on a particular value or the value in the input field entered by user by the help of this method. These events will helps one in achieving custom functionalities or to do something on the back end when user starts playing(or using) the control. Close Event – This event is fired when the selection list or the drop down list showing the available option to the user is closed. Create Event – This Event is fired on the creation of autocomplete much more like an init event. For those who are familiar with the init event they can easily use it but for those who don’t know about it, this is the event which every control exposes (independent if the technology) and is fired when the control is created. Focus Event – This event is fired when a particular option in the selection list is focussed on by the user by using keyboard keys (Arrow keys up or down). Don’t confuse it with the on mouse hover. It is fired in case of keyboard interaction, is only fired when the user is focussing particular option by moving into the available option list up and down. It is not fired on selection. The default functionality attached to this event is to place the focussed option value into the input field or the text field. Open Event – This event is fired whenever the new search is performed and the selection list is opened with the filtered items. So this event is also fired in the case when the search is performed and there are no suggested options which can be presented to the user. Consider that this event is fired in case of Updation of the filtered options (presented to the user). Response Event – This event is fired when the search is performed before the available options are shown to the user. So if one want to manipulate the result set or write down some custom login to modify the result or to do anything before the result is shown to the user, this event is the best place. Search Event – Once the user enters the minimum characters required to make a search then the search request is made to get the suggestion data(In case of delay mentioned search is made after delay interval from the mentioned scenario). So just before making the request to get the suggestion data Search event is fired. If one needs to do anything custom before making a request to get the suggestion data, this event is helpful. Select Event – On this event by selected item from the selection list is populated to the input field or the text field and the selection list is closed. This is the default behaviour for this event. By user selection I mean that a user is traversing down the available options by keyboard keys and then presses enter to select a particular item or user selects an item from list via mouse click. This is very much about the details of the jQuery-UI autocomplete; I think we can now go into the technical details of how we can implement it. I am guy from the .Net background (Using C#), so I am sorry but my implementation examples somehow will be in the same technology or language (especially the server side code showing the remote search). But it doesn’t mean that it will not work in Java Web forms (JSP) or may be some other pages. Here I will be presenting how it can be implemented in simple HTML pages. jQuery Library – Can be downloaded from CDN(Content Delivery Network: http://code.jquery.com/jquery-1.9.1.js) or one can give link directly. One can also use the minified version of all of these or any other version (Just make sure that they are using the required version of the dependent library). This is a very simple example with the static data source. The sample is to get the users from the server and to show their first name and the last name in the selection list of autocomplete. I have used three properties and an event in the sample above. Cache is the property which helps in specifying that if the request needs to be made on the server again to get the data, or it can be served locally. So suppose there is a user “Abhishek Jain”, now if the user enters “abh” for the first time then server hit is made sending “abh” in the term query string and get the data. Now there is one suggested user “Abhishek Jain”. Now if the user deleted “abh” and enter something else another request will be made to the server, but if the user enters “abh” again in the textbox then the server hit is not made and the data which was fetched initially for “abh” will be shown. Other properties which I mentioned above can also be used in the similar way. Now I will like to explain how to create a HTTP Handler, before starting it one should what is HTTP Handler and why I have created a handler in this case. HttpHandler is an extension based processor in other words pre-processing logic is executed depending on file extensions. So any request coming to the server for particular file extension will be served a particular handler for that extension. We can also create custom HTTP handlers to serve our request for a special extension. HTTP Handlers can be synchronous or asynchronous. My example will focus on how to create an Asynchronous HTTP handler. Actually I wanted to make an server request, either I can make it to a Web Method included in some page, or I can make that request to some service endpoint to get the data in JSON format, or as I have chosen to create and HTTP handler to server my request. My motive behind this is that whenever I want a similar kind of Autocomplete box; what I have done is I created a user control with this functionality so in any application of mine where I want a similar behaviour I can use that control and can just register this HTTP Handler for that side and the Autocomplete control will be running with the same functionality, although it can also be achieved with the help of Web Services or any other services but that will be a time consuming task and I don’t prefer to create a service just to return data for a autocomplete textbox. string searchBy = context.Request.QueryString[“term”] != null ? By this <Namespace> I mean is the full namespace of that class if any. One this is done we are good to go and one can see the Autocomplete working with the Data from the server. Hope this article is helpful. Please leave your comments and suggestions….